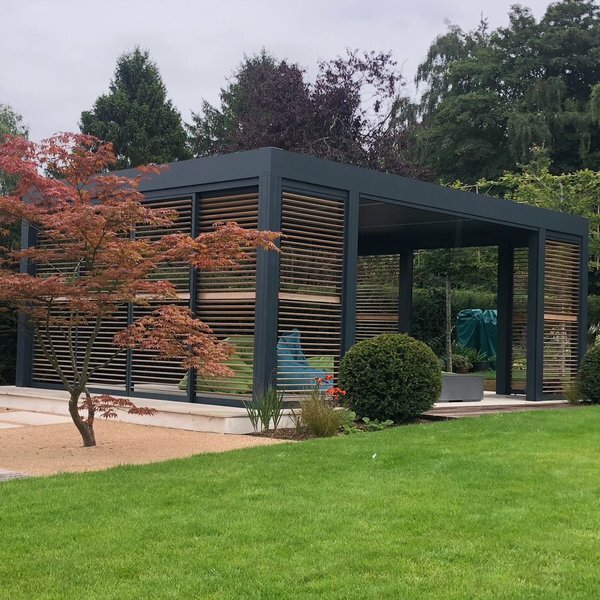 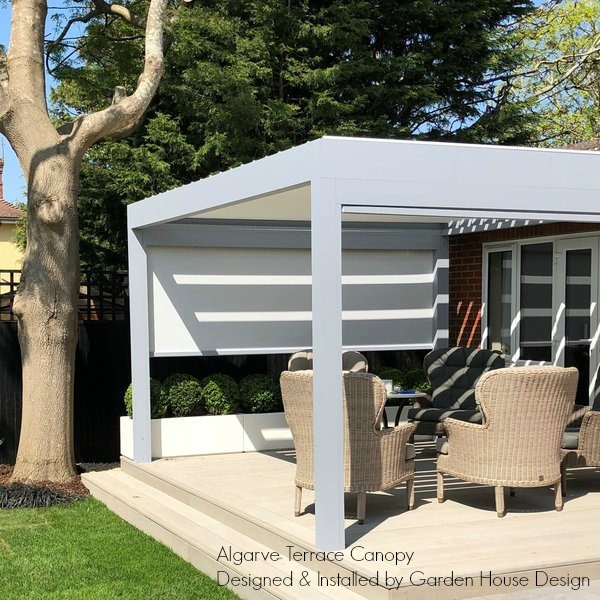 Complete with a range of personal options of automatic fixscreen side blinds, sliding glass doors, Loggiawood or Aluminium Sliding Doors, LED lighting, heating and even sound! 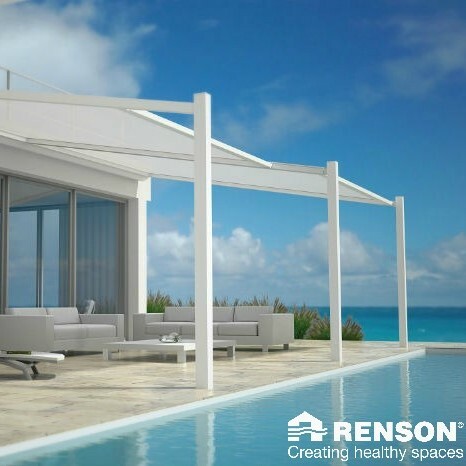 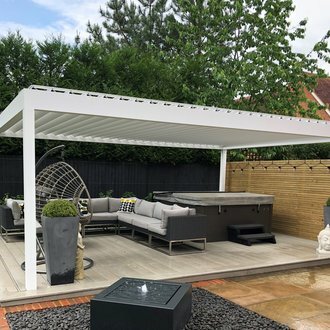 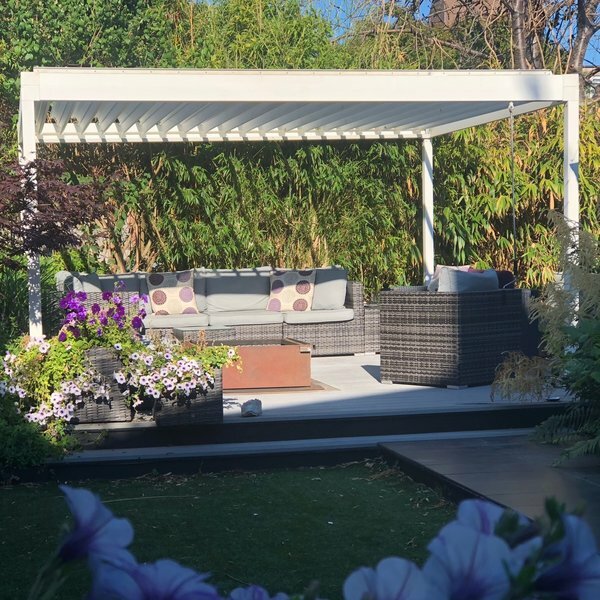 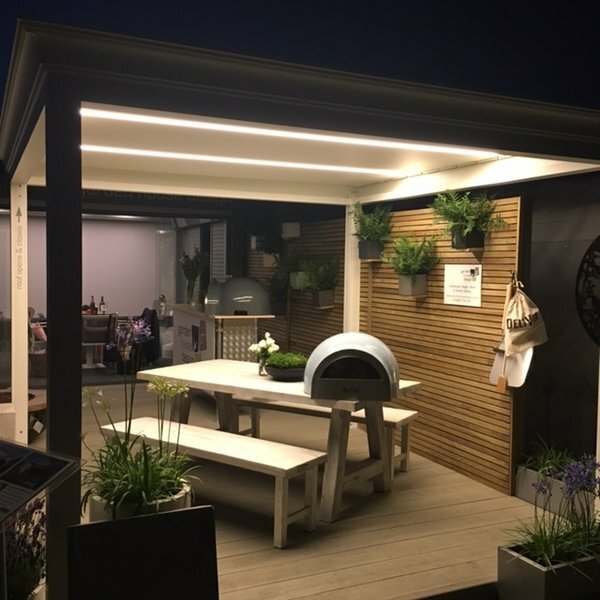 Why choose Garden House Design for your outdoor canopy! 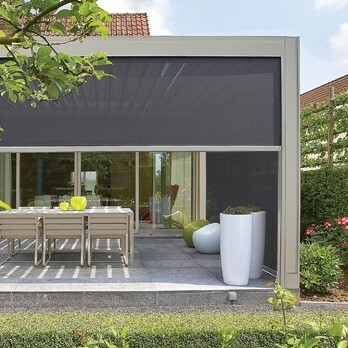 ... click here! 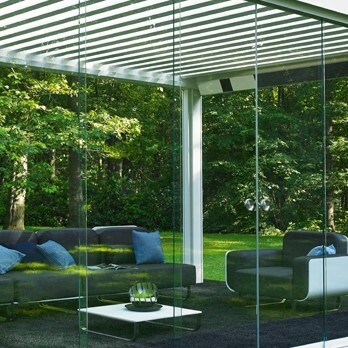 Azore® Manual Louvered Canopy LIMITED STOCK!